Vail Resort uses snowguns to make snow near the Riva Bahn Express Lift. 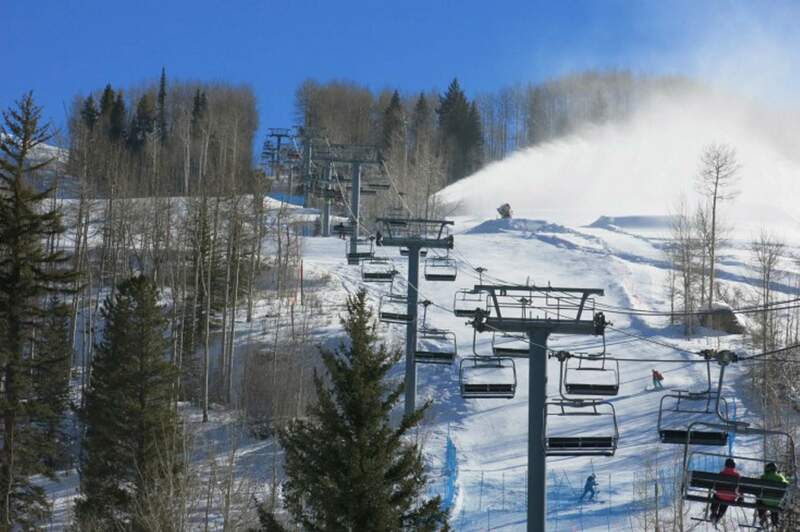 Low snowpack and warmer temperatures this winter have put more pressure on snowmaking for many Colorado snow resorts. From powderhounds to Colorado’s water managers, the new year has brought worry. The record-low snowpack in parts of the Rocky Mountains is the culprit. Snowfall at the end of 2017 in Beaver Creek, Vail and Park City, Utah, was the lowest in more than 30 years. Damon Miller of Denver has skied in the state for decades and laments that runs have exposed rocks and trees. He usually gets his first run in before Christmas. Not this season, though. He just got in his first turns of the season, mid-January, at Keystone. Can the low snowpack in Southwest Colorado rebound?